I’ve lived in Bristol most of my life, and have visited Bath regularly. But to my shame I have never been to the Thermae Bath Spa. I know right? What have I been doing? A girl needs a facial and a relax in the warm thermal pools okay? So, yesterday my Mum and I spent a day being pampered. We arrived just before 10am, and were given our own robes, flip flops and towel. Once dressed we headed up to the treatment rooms for our facials. My facialist, Rachel, was super friendly and talked me through my skin and needs, so she could tailor make the facial for me. 50 minutes of bliss. Rachel gently cleansed my face, then applied an exfoliate and an algae mask. Whilst the mask was doing it’s thing, Rachel massaged my neck, shoulders and arms. Can I please have someone do this daily to me!! 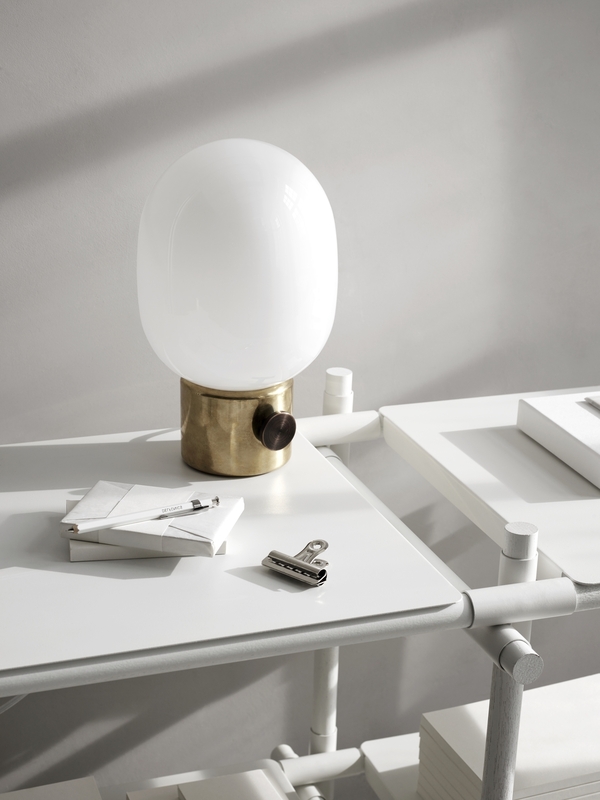 After that, she applied soothing creams and my skin felt plump, lifted and supple. 10 years younger! After a soothing cup of herbal tea, my Mum and I headed to the roof top pool. With this unusual February sunshine I couldn’t have been in a better place. 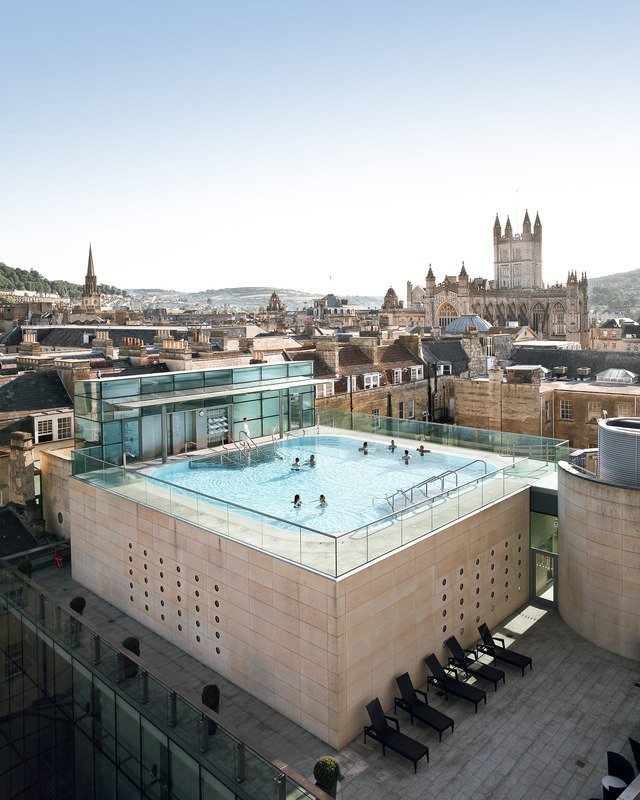 The view from the roof top over Bath is incredible, and the warm water and Jacuzzi – it is definitely the place to be. Soon, we were curious of the other facilities, so we wandered downstairs to the basement and the Minerva pool. Much cooler water, and soothing in nature. We also spent a while in the Wellness Suite, trying out the infrared sauna, the steam rooms and ice chamber. I’m never quite sure how long you are meant to stay in each one. But I did feel like my skin was softer after time in the steam room. Soon our tummies started to rumble, and we headed in our gowns to the Springs restaurant for lunch. We were treated to a two course meal, I chose breaded goats cheese salad for starter and the Moroccan vegetable tagine for main. I must admit my food wasn’t that great, the vegetarian option arrived with a big chicken breast plonked on top. And my vegetables weren’t cooked. I think it might have been a bad day for the chef, as my Mum’s salad didn’t have any dressing – just a plate of mixed leaves! But, on a positive note, my carrot and ginger juice was delicious. We absolutely loved our treatments, the pools and the wellness saunas. 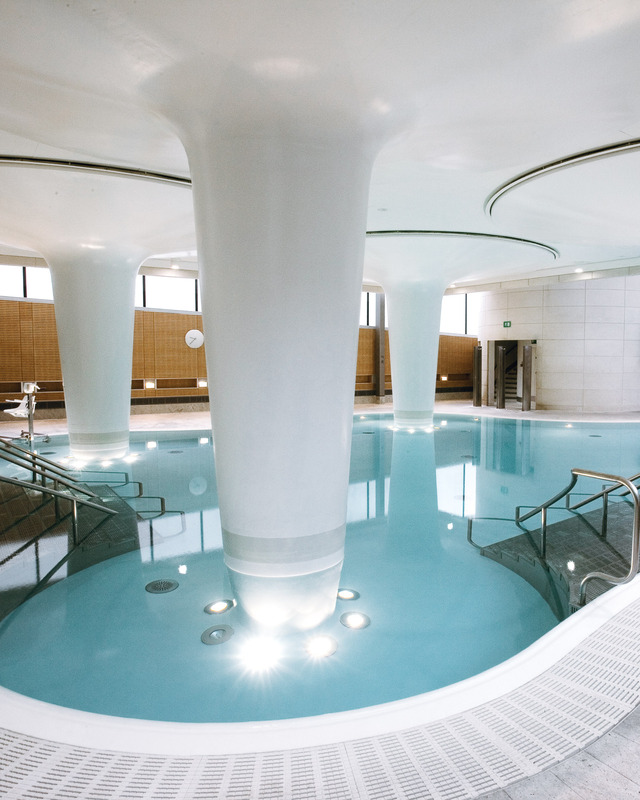 We had the Timeless Thermae package and at £112 each, which included; a 50 minute treatment, four hours in the spa, robes etc and a 2 course meal in the restaurant. Positives: Facial – amazing! My skin feels wonderful. The location. The roof top pool. Negatives: The showers are communal and open and are situated downstairs from the changing area, which is a pain. My meal was weird. 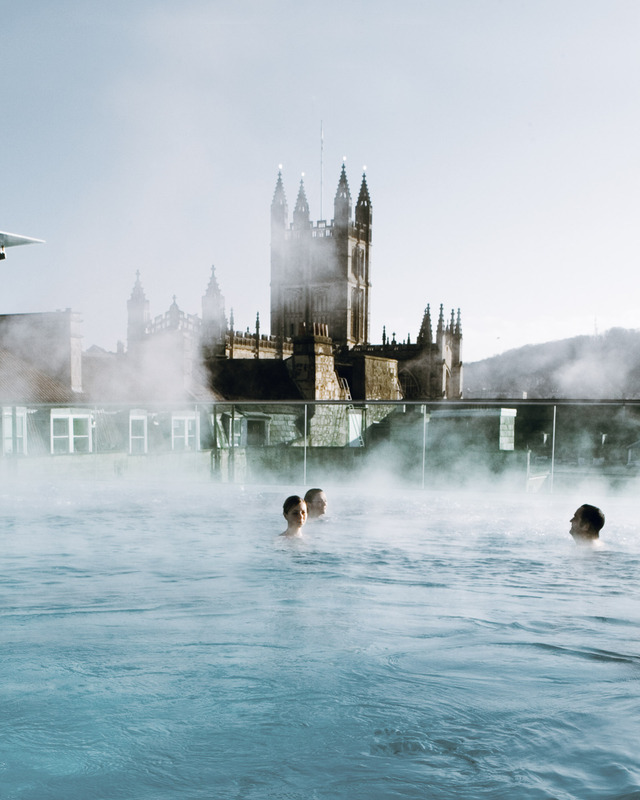 Thank you to Thermae Bath Spa for inviting us for the morning. We loved spending time in the roof top pool in the sun. 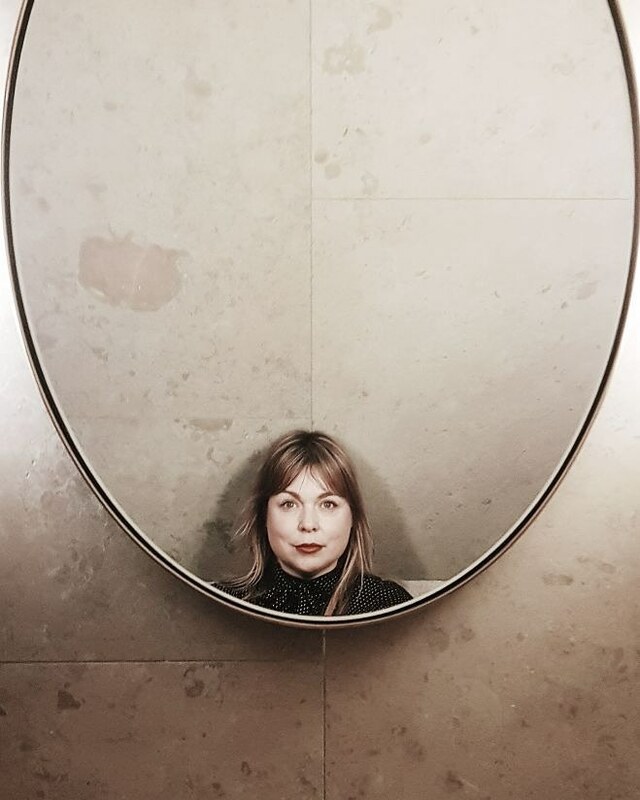 Collaboration Note: This post was in collaboration with Thermae Bath Spa, who invited us to review the facilities. No compensation received in exchange for placement on Littlegreenshed. As always, all thoughts and opinions are always my own. Thank you for supporting our partners! 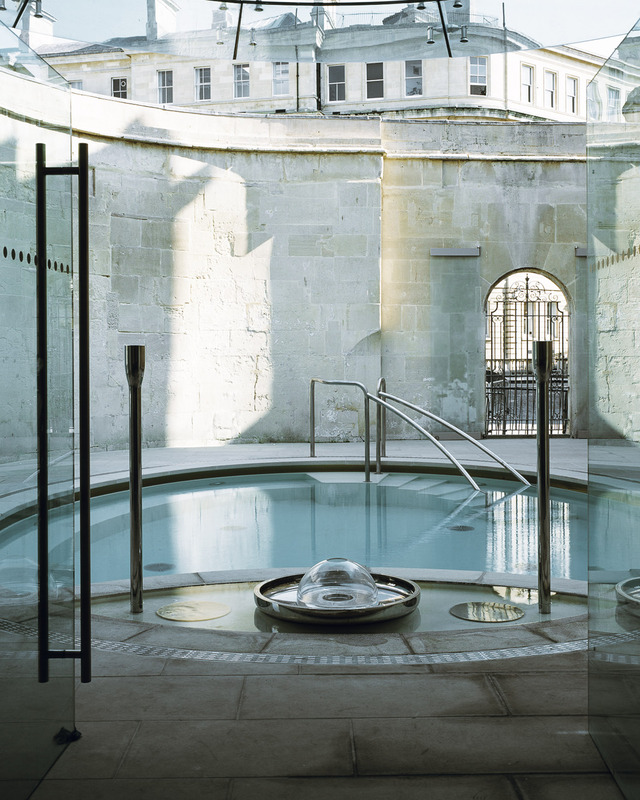 Images supplied by Thermae Bath Spa.